ModCloth's keeping the momentum up with a new swimwear campaign that aims to spotlight influential women, regardless of their size. Fashion's body-positive movement has gained traction with a series of inclusive campaigns, runway shows, and new collections that rolled out in the last year. 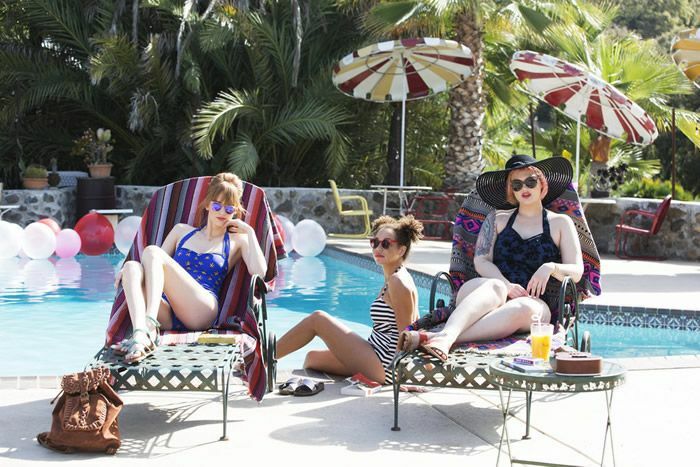 Now, ModCloth's keeping the momentum up with a new swimwear campaign that aims to spotlight influential women, regardless of their size. Drawing on the success of its 2015 ads, which featured ModCloth's own employees as models, this year's again will showcase the brand's own staff, as well as a video series that highlights inspirational women in the ModCloth community. "We want to make it normative that women are considered capable and confident leaders no matter their size. We want the dialogue to be deeper than 'you're more than your measurements' and 'your measurements aren't a judgement'." That's the goal, according to ModCloth's founder, Susan Koger. It's no easy task in a world that puts the focus, so often, on our bodies, but it's certainly another big step toward change. All you have to do is take a look at the campaign images filled with a diverse lineup of bright, beautiful women to feel its effects. Go on, keep reading to get inspired.